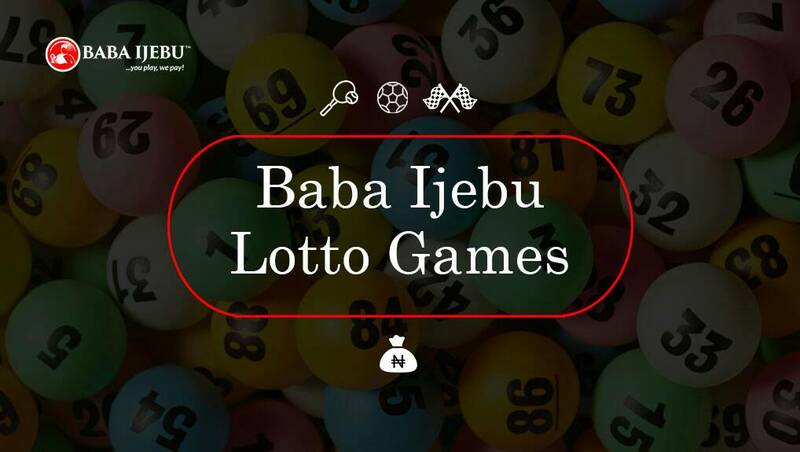 Babaijebu just got easier, interesting, and convenient. There are varieties of games to be played depending on your preference. Below are some of the games you can play. These are games that can be played by dialing *755# code on your mobile Phone. This feature is only available to only MTN users. NAP 2 is popularly called 2sure. Nap2 game means you have selected 2 numbers and you are confident the numbers will be among the 5 winning numbers drawn on your selected draw. Nap2 game has a multiplier of 240. NAP2 winning is calculated as stake amount multiplied by a multiplier. Nap3 is popularly called 3direct. Nap3 game means you have selected 3 numbers and you are confident the numbers will be among the 5 winning numbers drawn on your selected draw. In playing this game, you must be gallant, confident that your bank account is ready to contain the BIG winning when your three numbers drop. It has a multiplier of 2100, NAP3 winning is calculated as stake amount multiplied by a multiplier. Perm2 game increases your chances of winning. It allows you to pick a minimum of 3 numbers and a maximum of 10 numbers. You need at least 2 of your selected numbers to drop for you to have a winning. Once numbers are selected it generate lines e.g. 3 numbers generate 3 lines, 5 numbers generate 10 lines and 10 numbers generate 45 lines. It has a multiplier of 240, PERM 2 winning is calculated as stake per line multiplied by a multiplier. The good thing is that the system makes it easy for you by solving the mathematics and gives you a place to input your stake. Perm 3 game is a game of adventure, it allows you to pick a minimum of 4 numbers and a maximum of 10 numbers. You need at least 3 of your selected numbers to come out for you to have a winning. Yes! your three numbers can drop, it is very possible. Once numbers are selected it generate lines e.g. 4 numbers generate 4 lines, 5 numbers generate 10 lines and 10 numbers generate 120 lines. It has a multiplier of 2100; PERM 3 winning is calculated as stake per line multiplied by a multiplier. Aside from playing Babaijebu online with your mobile phone, you can also play varieties of games from our online platform. You can access the platform by going to BabaIjebu.ng . Below, are the list of games you can play on the platform. NAP1 Is a game where you pick just one number and expect that it will be the first number that drops out of the numbers selected. You only win NAP1 if the number selected is the first number drawn out. NAP2 is popularly called 2sure, NAP2 game means you have selected 2 numbers and you are confident the numbers will be among the 5 winning numbers drawn on your selected draw. NAP3 is popularly called 3 direct, Nap3 game means you have selected 3 numbers and you are confident the numbers will be among the 5 winning numbers drawn on your selected draw. Nap3 game has a multiplier of 2100. NAP3 winning is calculated as stake amount multiplied by a multiplier. NAP4 is popularly called 4 direct, is a game where you pick 4 numbers and bet that all four numbers will drop out of the game you have played. NAP5 is popularly called 5 direct, is a game where you pick 5 numbers and bet that all five numbers will be drop out of the game you have played. If 3 numbers drop, your winning calculation is 5*1 line* 240 = N1,200. Perm 4 game is a game of adventure, it allows you to pick a minimum of 5 numbers and a maximum of 10 numbers. You need at least 4 of your selected numbers to come out for you to have a winning. Once numbers are selected it generate lines e.g. 5 numbers generate 5 lines, 10 numbers generate 210 lines. It has a multiplier of 6,000; PERM 4 winning is calculated as stake per line multiplied by a multiplier. Perm 5 game is an exciting game, it allows you to pick a minimum of 6 numbers and a maximum of 10 numbers. You need at least 5 of your selected numbers to come out for you to have a winning. Once numbers are selected it generate lines e.g. 4 numbers generate 4 lines, 5 numbers generate 10 lines and 10 numbers generate 120 lines. It has a multiplier of 44,000; PERM 5 winning is calculated as stake per line multiplied by a multiplier. If you select 6 numbers (which is 6 lines) at a stake N9 per line (Total stake is N54) and 5 numbers drop, your winning calculation is 9*6 lines* 44000 = N2,376,000. BANKER 2 Is a game that allows you pick a minimum of 3 numbers and a maximum of 10 numbers. The first number you pick is your banker ball and it must come out with one of your selected numbers if you are to win. Once numbers are selected it generate lines e.g. 3 numbers generate 2 lines. It has a multiplier of 240 and its winning is calculated as stake per line multiplied by multiplier by line.